Government and business are increasingly obsessed with information leaks. The tech company Apple fears leaks about products and labour practices have damaged its reputation. Global financiers set out to stop Panama’s high-level leaks that embarrassed presidents and prime ministers in Russia, UK, Pakistan, Ukraine and Iceland. A wiki-website makes devastating leaks public. And while all heads of state want to plug persistent leaks, none have done so more obsessively than US President Donald Trump, who has tripled investigations into “criminal” leaks that “threaten lives” and sought to deploy massive electronic surveillance to detect every silent trickle. If only such zeal were applied to global water systems that annually leak 32 billion cubic metres of water. Totally different assets, you say? Actually, when you compare real water losses with unwanted data disclosures, the parallels are illuminating and instructive. Whether intentional or otherwise, both kinds of leaks risk lives. Both embarrass authorities. Both share a history of misguided attempts to measure the extent of the problem. In both cases, agents resent leak detection as dull and inconclusive, compared with shiny new projects. Recently, a US Justice Department Inspector-General complained that finding and fixing leaks are “not fun investigations to be on. They’re notoriously difficult to solve, and they soak up so many resources.” Water professionals would nod in agreement. Conversely, experience from efficient water systems can help insecure men like Trump address the root causes and consequences of leaks. First, worry is warranted, as leaks do increase national security risks. Yemen, Nigeria, Somalia, Syria, Venezuela tend to suffer high water loss, while Singapore, Japan and Denmark report the lowest. 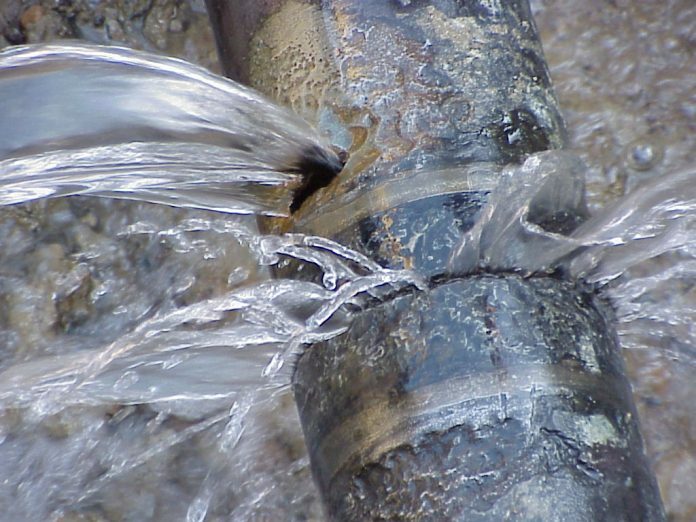 Leaks are both a symptom and cause of unstable and weak states. But don’t blame external threats. Leaks tend to result from internal imbalances, worsened as power concentrates at the centre and gets unevenly distributed to citizens through an equitable system. As water professionals know, pressure management goes a long way toward reducing leaks. Third, leaks arise when and where you least expect them. A seep becomes a trickle in the dead of night, when public taps and toilets are most idle. To avoid sporadic spikes, it helps to anticipate demand and respond by spreading out the asset in a steady, reliable, 24/7 flow. Likewise, leaks are the classic “squeaky wheel” crying out for care and attention in the poorest, most neglected parts of a system. Precious assets demand constant circulation. When authorities forget the social contract is a two-way street, leaks expose hypocrisy. Trump, notorious for leaking privy information to reporters off the record, grows apoplectic when staff follow his lead. Shameful, right? But how many waterworks penalise customers for retail losses while ignoring wholesale leaks on their own side of the meter? Fifth, working ad hoc in the dark can prove dangerous. In 1971, US President Richard Nixon brought in “plumbers” to plug White House leaks, a covert operation that led to his career-ending Watergate scandal. Water professionals develop transparent plans that collaboratively ask: how much is leaking, where, why, and what holistic measures can address it in an economically sustainable way? When facing infinite leaks, prioritise. While it’s tempting to ‘clean house’, replacing all assets is a slow, costly, debilitating process. Few leaks are big, visible, and publicly humiliating; yet many smaller, hidden ones can undermine the system’s integrity. That said, there are few absolutes. Accept that some loss is inevitable, perhaps even healthy, as it indicates strong demand for transactive f lows. Extensive distribution–by population or range–deserves a bit more tolerance. A large system with zero leakage is not ideal. It’s dystopian. Ultimately, leaks reveal a breach of trust. Never ignore the trickling of contained and valuable assets, but don’t overreact, either. In governance and waterworks, authorities that manage leaks effectively can rebuild and maintain the healthy, resilient bonds between the natural monopolies they run and the people they serve.